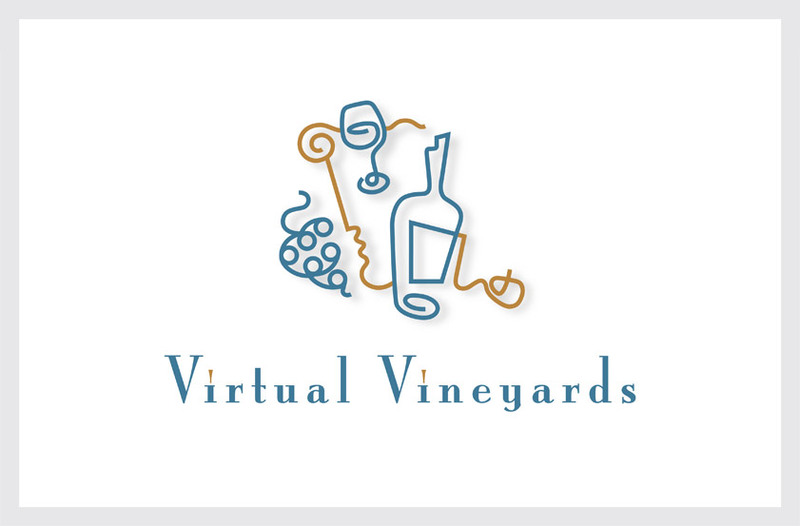 Virtual Vineyards is the world’s first firm to market and distribute wine over the Internet. Our solution uses a continuous line motif to convey the concept of offering consumers “wine online,” accessible by a simple click of a mouse. The symbolic wine grapes, glass, and bottle are connected by a classic human profile to evoke the appreciation and enjoyment of fine wine and effectively target early-adopting wine connoisseurs.